Bevis Fusha, a photographer from Tirana in Albania, wants to know about magazines' use of cover photography. Why are magazine covers changed and manipulated all the time? Is this to remain faithful to the magazine's style or does it have to do with making the magazine more attractive? Does this create preconceptions for the reader? Not all magazine covers are changed and manipulated. I can only speak for The New York Times Magazine, of course. We adhere to the same journalistic criteria and ethical code that guide all of the photography in the magazine's pages. 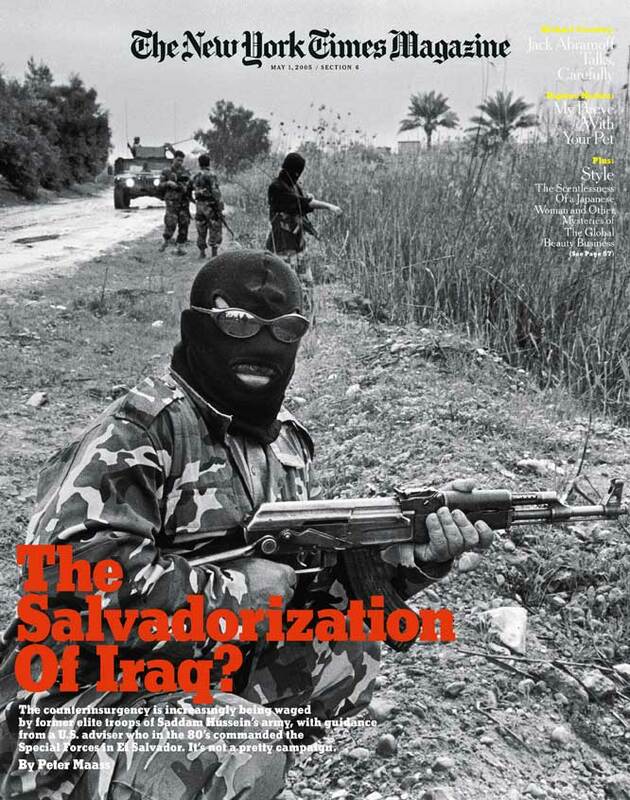 When we publish a documentary photo, such as the cover image from Iraq for the story titled "The salvadorization of Iraq?" by Gilles Peress, we do not manipulate it in any way. The same goes for portraits of newsworthy subjects. The range of our subject matter is very broad and some stories are better served by a cover that is conceptual and created in the studio. In these cases, the photo can involve a concept that involves building a set, casting subjects, creating costumes, etc. These covers, although also photographic, clearly are much more idea-driven and illustrational by definition. I assume your question is not referring to these examples. When we publish a portrait of a person on the cover, it is also not manipulated. Occasionally there is a strong creative idea that is part of the conceptualization of the image. A classic example of this is the cover image of Clint Eastwood emerging from a smoky haze in the shot accompanying our annual "Great Performers" portfolio. 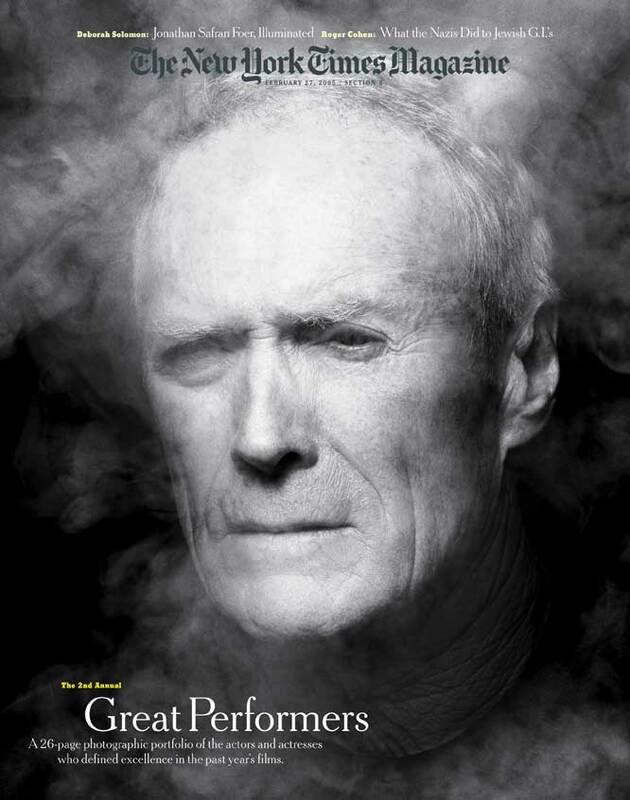 In this case, the photographers came up with an idea - the smoke - that seemed in keeping with Eastwood's personality and monumental importance as a director and actor. The resulting dramatic image had just the right theatrical tone and high drama for this subject matter. The effect was created by bringing a smoke machine to the studio for the portrait session. It was all done in camera.